Posted by Mastura Zaini-Roberts on Friday, March 31st, 2017 at 10:43am. "Buyers came back in force last month as a modest, seasonal uptick in listings were enough to fuel an increase in contract signings throughout the country," said NAR Chief Economist Lawrence Yun. "The stock market's continued rise and steady hiring in most markets is spurring significant interest in buying, as well as the expectation from some households that delaying their home search may mean paying higher interest rates later this year. Last month being the warmest February in decades also played a role in kick-starting prospective buyers' house hunt." For 2017, existing-home sales are predicted to be around 5.57 million – 2.3% higher than 2016’s 5.45 million. NAR also projected that national median existing-home prices would by 4% this year; last year saw an increase in existing home sales of 3.8% and an increase in prices of 5.1%. However, tight inventory and poor affordability are still affecting many prospective buyers. "The homes most buyers are in the market for are unfortunately the most difficult to find and ultimately buy," said Yun. "The country's healthy labor market is translating to greater job security, but affordability is not improving because home prices in some areas are still outpacing incomes by three times or more because of tight supply. 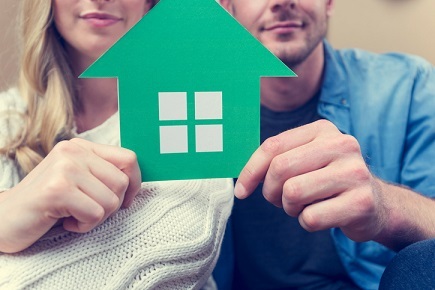 How much new and existing inventory there is on the market this spring will determine if sales can reach their full potential and finally start reversing the nation's low homeownership rate."